And the Black Mamba has responded! As you may now know, Brandon Armstrong a.k.a. 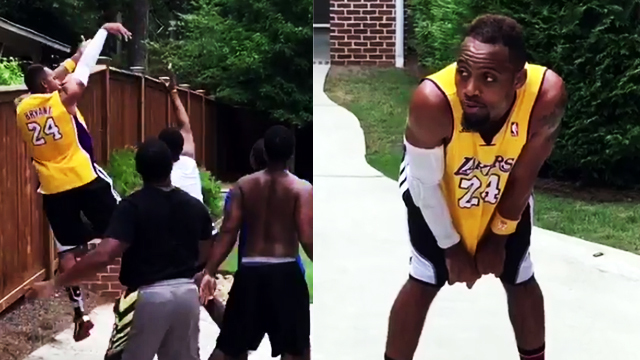 BdotAdot5 has taken the Internet by storm recently with a series of impressive NBA player impersonations. It's not just that the former D-Leaguer has mastered the shooting forms of each of his "references," he has also captured the quirks, nuances, and on-court habits of the players he's impersonated. As expected, Armstrong came up with yet another sharp portrayal. However, it's the addition of four "defenders" that really made this particular impersonation more awesome than his previous projects—and ultimately one of the best ones we've ever seen! Heck, even the Black Mamba approves.